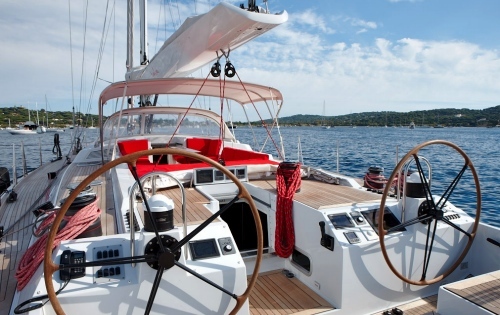 The 2010 sailing yacht AMAZONCREEK is a beautifully designed CNB 77 measuring 23.47m (77’) finished to the highest specification throughout. 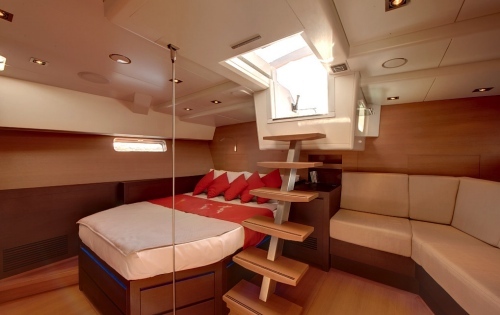 Built by CNB Bordeaux with Naval Architecture by Philippe BRIAND and interior design by Fabrice Lefevre, this sailing yacht is a beautifully crafted yacht with fine lines and a modern interior. 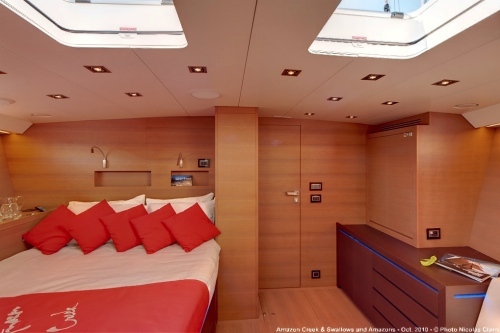 Able to accommodate 4 guests in 2 cabins, yacht AMAZONCREEK is perfect for 2 couples or perhaps even a small family who love quality and space. 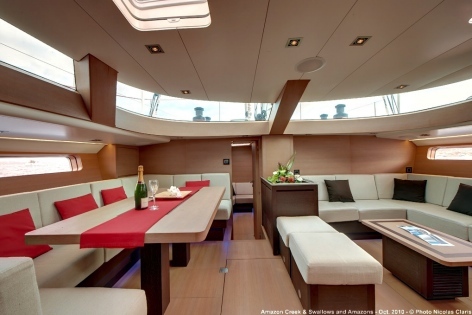 Sloop AMAZON CREEK features a modern salon with comfortable couches with a coffee table to starboard and a dining area to port. 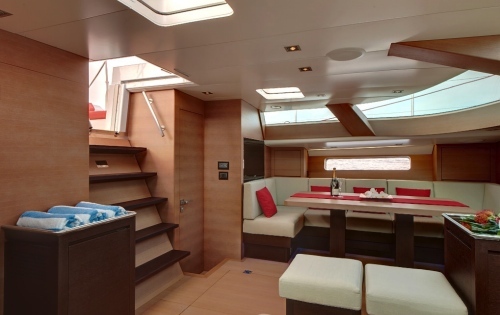 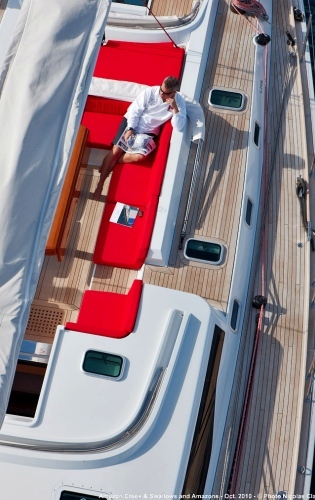 The large cockpit area above features twin wheels and an al fresco dining area with a bimini shade. 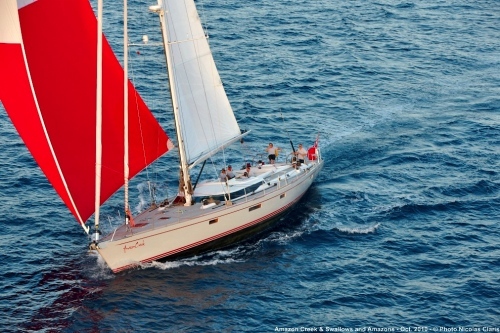 Sail yacht AMAZONCREEK is sister ship to the CNB sailing yacht SWALLOWS & AMAZONS built in 2009, and is available to charter in tandem for larger groups. 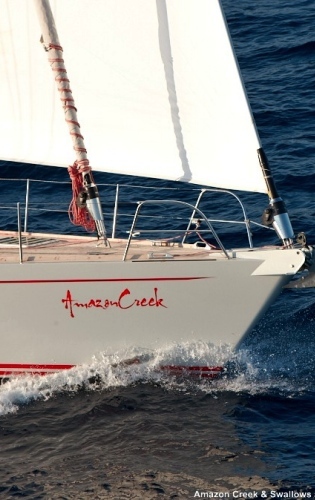 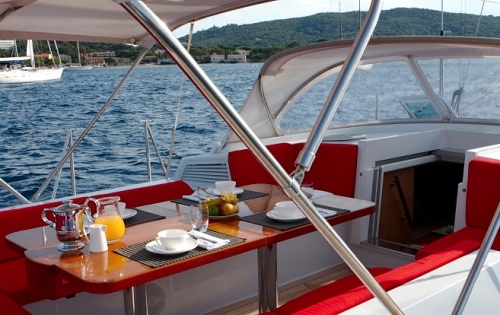 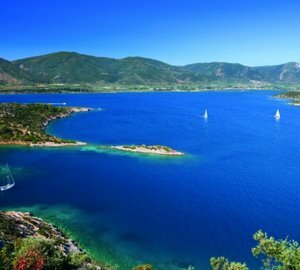 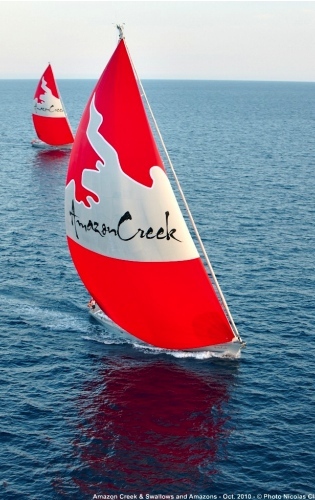 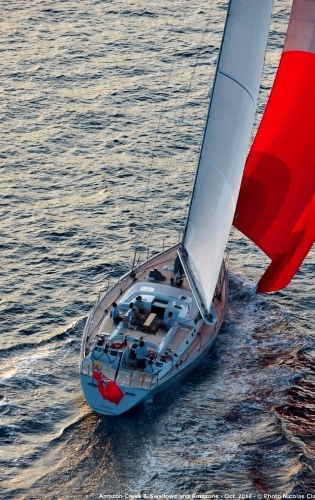 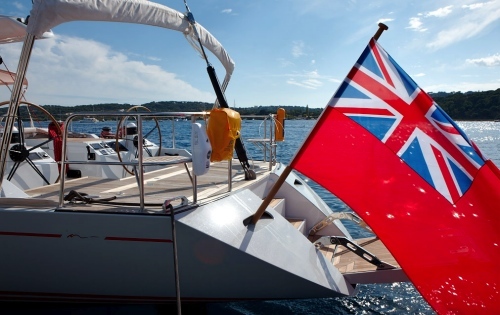 Yacht AMAZON CREEK has a crew of 3 and will be based in the South of France, available from 15th may to 15th September for charters around Corsica, Sardinia or French Riviera. 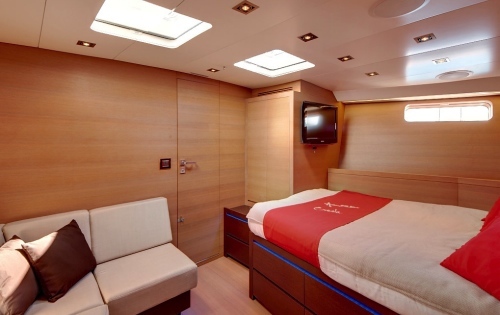 Sailing yacht AmazonCreek is able to sleep up to 4 guests in two air-conditioned cabins each with a double bed and en-suite facilities. 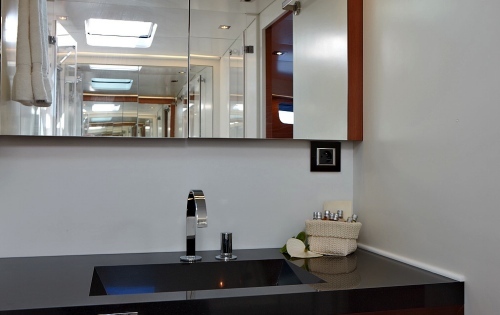 The 3 crew has a separate head and shower. 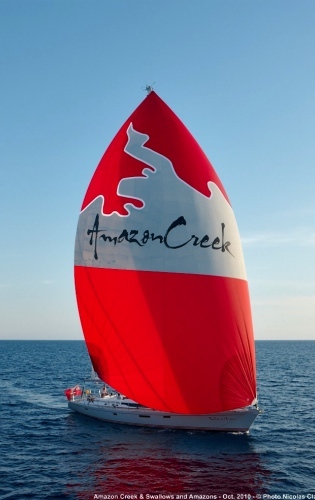 Sail yacht AMAZON CREEK has luxurious amenities and extras including a 12ft hard bottom tender with 50 HP engine, Snorkelling equipment for 4, a Wakeboard, waterskiing adults and kids, Inflatable raft, swim platform, fishing gear, beach games. 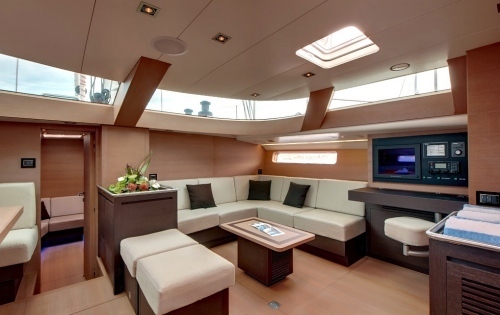 Communications include Satellite, GPS and hot spot connections with Wifi throughout for internet/email access. 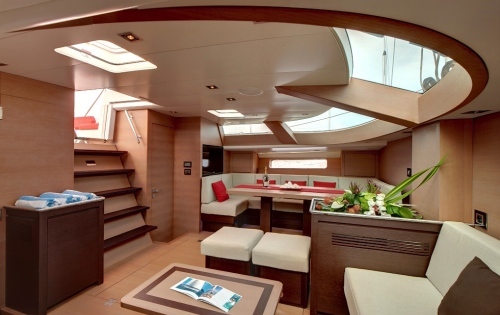 Audio Visual Equipment and Deck Facilities include a Television and DVD in salon and each cabin, with video on demand server and extensive library, Sony PlayStation.